The GuitarsOnline Masterclass Centre, is a free classical and flamenco guitar learning resource, open to anyone, regardless of experience or expertise. Our Masterclass Centre contains full-length video masterclasses lessons and tutorials, together with in-depth educational articles and tutorials, all from some of Australia's leading classical and flamenco performers and teachers. In addition, we have also partnered with tonebase.co - an online database of classical guitar learning resources, from the world's leading players, educators, composers and virtuoso. Daniel Nistico has assembled for us a whole suite of educational resources - articles, tutorials and videos, covering Practising, Theory, Musicality, Technique, Performance Practice and Pieces/Performance Videos. All designed to help make you a resourceful guitarist by giving you easy access to free resources, pieces, and information all created to have a powerful impact on your playing. Video mini-masterclass lessons, delivered by Australia's leading performers and teachers, designed to take you step-by-step, through the technique intricacies needed to help you become the best player you can be. Tonebase.co is an online database of classical guitar learning resources - world class players, educators, composers and virtuosos, who have created masterclass videos just for you. We have partnered with them to help bring exciting new learning and educational content to our GuitarsOnline Masterclass Centre. 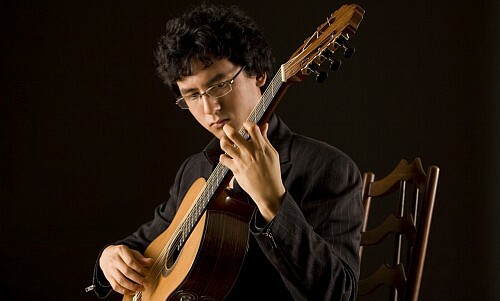 Australia's leading talent and up-and-coming classical guitarists, play pieces from the Australian Music Examinations Board repertoire for classical guitar, grouped by grade level. We're assembling a whole collection of reference articles and information, to assist all up-and-coming classical guitarists, across all aspects of their learning and development. Any questions, thoughts, ideas or requests? As you can see, our Masterclass Centre is new and still developing - if you have any questions, thoughts, ideas or requests, please drop us a line - we'd love the feedback.